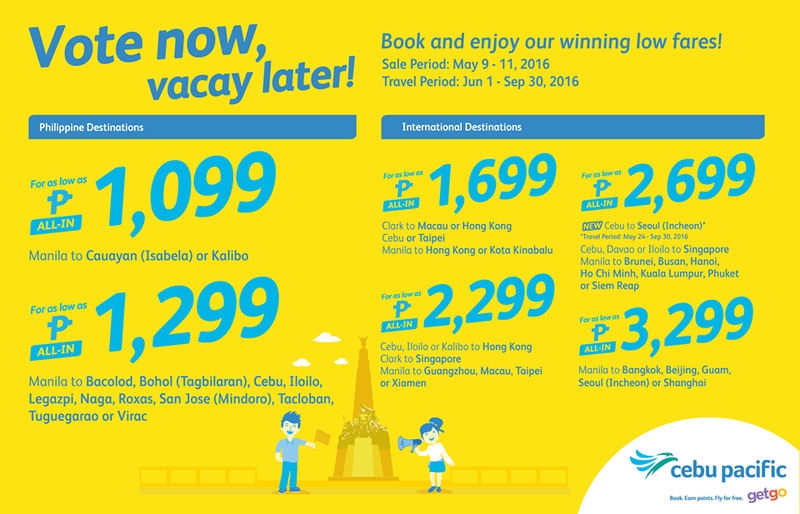 Piso Fare 2019 Promos Until 2020: Cheaper Fares for June to September 2016 travel! Cheaper Fares for June to September 2016 travel! 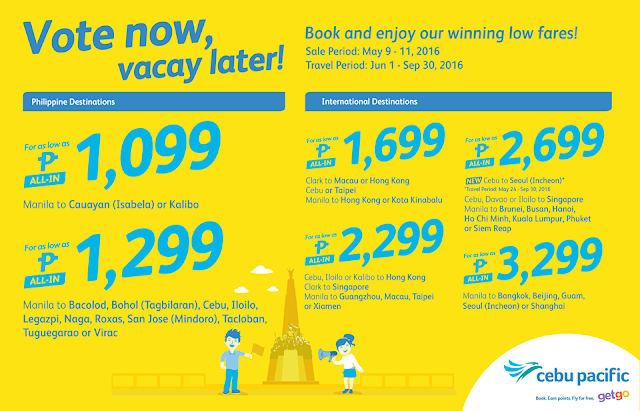 Piso Fare Promo 2016: The Philippine Election 2016 is over and we believe it's time you book your next travel or vacation with Cebu Pacific's latest promo offer. Certainly, CebPac is offering some low fares. Take note of the travel period. For about P1099, you can visit Isabela or Kalibo. There are also cheaper fares in the international level. Manila to Guam bookings made seven (7) days or more prior to departure may be presented for refund without charges within 24 hours before scheduled flight. I mean two person only.